Verant Interactive has announced a special space-expansion pack to be distributed six months after the official release of their primary product, Star Wars: Galaxies. The much-anticipated first add-on for the Star Wars: Galaxies series will introduce personal starships and starfighters, which can be used for interplanetary travel or space combat. The expansion also promises additional worlds, playable species, non-player characters, new creatures, the ability to explore the inside of starships and much more. Star Wars: Galaxies has also set the gaming community buzzing due to their showing at the 2001 Electronic Entertainment Expo (E3), even earning a nomination for "Best in Show" from such notable media conglomerates such as MSNBC, Gamespot, CNN and Gamespy. 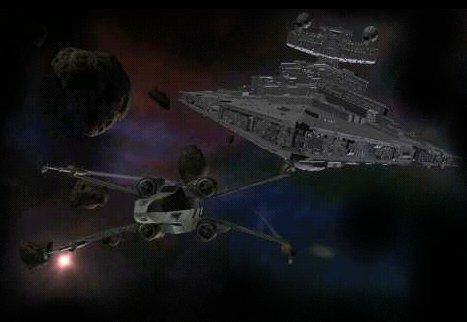 The following images display in-game screenshots taken of the Star Wars: Galaxies space expansion pack . . .